TFL put their foot firmly on Uber’s brakes – but the taxi app service is clinging to its last wheels! Love it or hate it, Uber got you from A – Z at a touch of a button (literally). So, it’s no surprise, the Transport for London’s (TFL) decision to ban Uber in London has got everyone accelerated. The Uber London ban came as a shock to the nation – much to the dismay of its 3.5m users and over 40,000 taxi drivers in London. (But probably to the rejoice of black cabbies around the capital)! Why the London Uber ban? Cheaper, quicker and deemed safer than traditional taxi services or black cabs, although the international transport service isn’t without its controversies. On September 22, the TFL decided not to revoke Uber’s taxi license after deeming the business not ‘fit and proper’ over concerns about safety checks on drivers and reporting crimes. The Uber London ban came to effect on September 30. So that’s it, gone. Goodbye, adios, bon voyage Uber. Not quite. September 30 came and went and all remained the same in the land. You could and can still open up your app, request a cab and be off on your journey. There have been no changes to the number of Uber drivers available either. They still hold their private hire taxi insurance and other covers too. Uber announced it would launch an appeal to revoke the ban in London. This means its drivers can continue to operate until the appeal process has finished. And on October 4, peace talks were carried out between the disputing parties. Uber’s CEO flew to the UK to meet with the London Transport chiefs to try and win back its taxi licence to operate in the capital. No final negotiations were made, but discussions are ongoing. Meanwhile, Uber has until October 13 to lodge a legal appeal against the transport authority’s decision. The taxi app operator can continue to run until date – but will most likely continue to operate until the appeal is over. Uber argues its drivers are self-employed, diminishing the company any requirement to offer employee rights such as the minimum wage, sick pay and pensions. A landmark employee tribunal last year ruled that Uber drivers were in fact employees. Uber is fighting this decision. All Uber drives must provide medical records stating they are fit to work, as well as carrying out Enhanced Disclosure and Barring Service (DBS) checks. Uber has been criticised for how it deals with allegations of crimes, including sexual offences, by its drivers against passengers. One case includes Uber continuing to employ a driver after he was accused of a sexual assault, who then went on to assault another passenger, before finally being removed. Uber needs to prove it is dedicated to reporting serious crimes quickly, efficiently. In March, the New York Times revealed Uber was using a controversial technology called Greyball to prevent law enforcement officials from using the service. Uber denies using this software in this capacity. But it will need to explain why the software is being used. The company’s reputation has been plagued over time due to revelations of sexism and sexual harassment in its corporate offices. This led to two external investigations which revealed 215 complaints and led to 25 employees fired. Until discussions conclude and / or appeal is carried out, it looks like it’s business as usual for Uber in London. What are your thoughts on the Uber London ban? 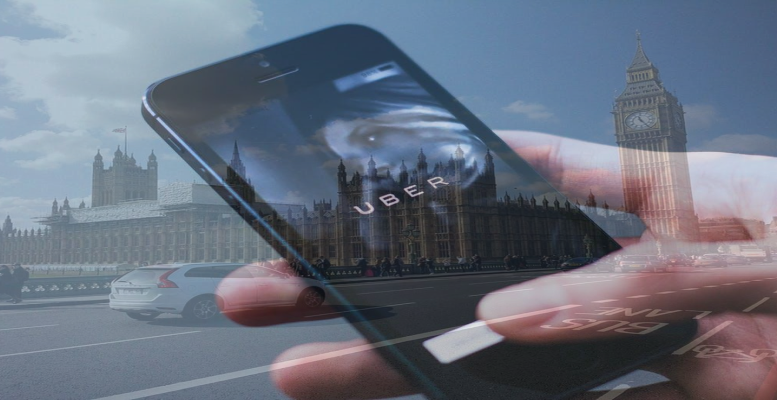 Be the first to comment on "Uber London Ban: Is the taxi service still running and can it be saved?"